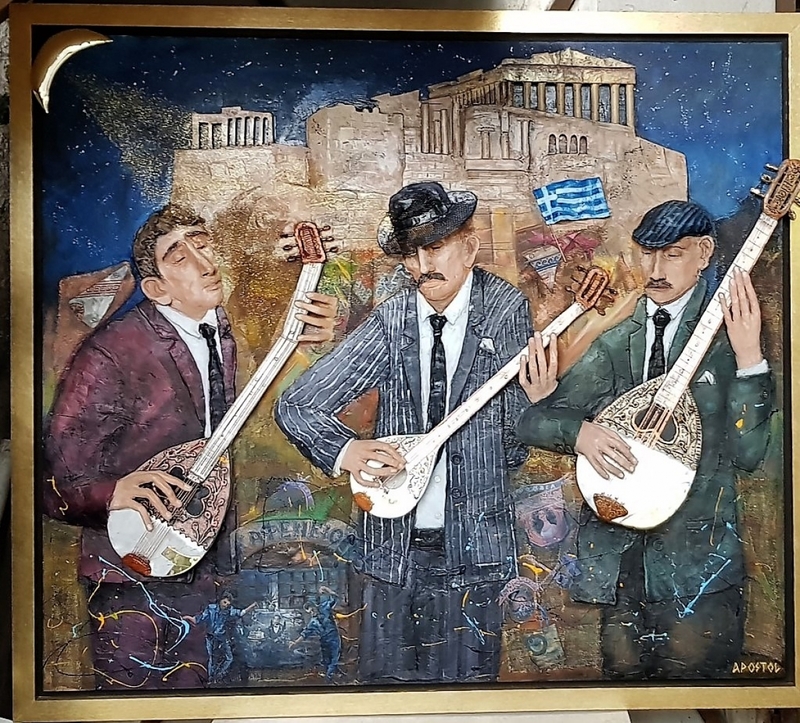 "THE HEART OF GREECE" Original, 3 dimensional wall hanging, unique, one piece only. Hand-made, aluminum, bronze, mixed media, hand- painted. Illuminated.